I had a interesting time running around Budapest recently with the tireless appetite of Jim Leff, the founder of the original Chowhound website and a great influence on a generation of hungry writers who find deliciousness a worthy cause in its own right. The Chowhound philosophy extolled in the original Chowhound site was a breath of fresh air in a world of stodgy chain foods and expensive restaurants. Which is to say, I don't think Jim was too impressed by Budapest, given the preponderence of stodgy franchises and expensive restaurants. He did, however, turn me on to one good thing: The Best Strudel in Budapest. Jim had picked this tip up from John Farago, a New Yorker and frequent Chowhound forum contributor whom I had known through postings about Hungarian food over the years. John invited me to the dinner party where I met Jim, and had written on his own Budapest website about the discovery of a small hole in the wall strudel bakery way out in Pest near the Kika furniture store on Róbert Károly kőrút. John had commented "It’s a Chaplin-esque production line like the one that makes tiny hamburgers at White Castle in NYC (or perhaps like one from a long-ago I Love Lucy episode, if memory serves), and it’s no less greasy but 100 times more tasty" If you can make any comparison at all to White Castle burgers, I gotta go. Living up to their reputation, this is what we like when we think retes in Hungarian: Simple, straightforward flaky pastry wrapped around fresh filling, a served hot out of the oven. It's not a fancy dessert - in fact, for most Hungarians it is not a dessert at all but a cheap and filling snack, a meal replacement in a culture that never really developed fast foods. This unimposing and virtually nameless place offers the usual suspects: sweet cheese (turos), poppy seed, apple, plum, apricot, cherry, pineapple (!?) and a more savoury cabbage strudel. Incidentally, Jim doesn't like having his picture taken - when he appears at book signings and for public speaking, he actually wears a hound dog mask. So no, you do not get to see the original Chow Dogg in action. Instead, he has been writing the history of the amazing series of events that led to the sale of Chowhound to Cnet... a lesson to anybody who takes an online passion for writing and ends up with a runaway success that takes over one's life and eventually... does OK. We hope. This is the strudel to get when you have friends over for dinner and you really want to serve them something in the "Best of Hungary" category without having to take out a bank loan to do it (I'm talking to you, mangalitsa sausage makers!) The fun part is getting out there. 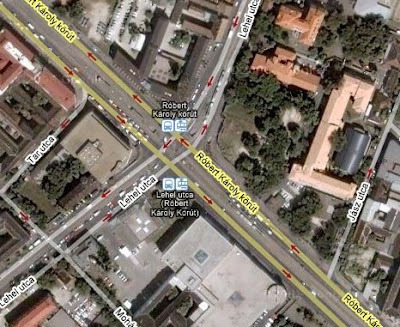 The shop itself is on Lehel utca behind the Kika store... it is on the #1 tram line )which runs along Hungária kőrút, or the tram that runs out from Lehel ter towards Angyálfőld. Actually a short bike ride from where we live in Zugló. Been a bit busy with other projects lately and haven't been posting as much as I would like. Besides, it is January in Budapest, and not much is happening, a good time to stay inside and get stuff done... housecleaning is going around all over the world, even as we speak. WASHINGTON, DC–Mere days from assuming the presidency and closing the door on eight years of Bill Clinton, president-elect George W. Bush assured the nation in a televised address Tuesday that "our long national nightmare of peace and prosperity is finally over. "President-elect Bush vows that "together, we can put the triumphs of the recent past behind us." "My fellow Americans," Bush said, "at long last, we have reached the end of the dark period in American history that will come to be known as the Clinton Era, eight long years characterized by unprecedented economic expansion, a sharp decrease in crime, and sustained peace overseas. The time has come to put all of that behind us." Well, we have put that behind us. Obama faces challenges in his presidency comparable to those faced by Franklin Roosevelt in 1932: a shattered economy, a rising fascist-nationalist-terror tide of world politics, a loss of orientation between philosophies that guide the practice of governance. 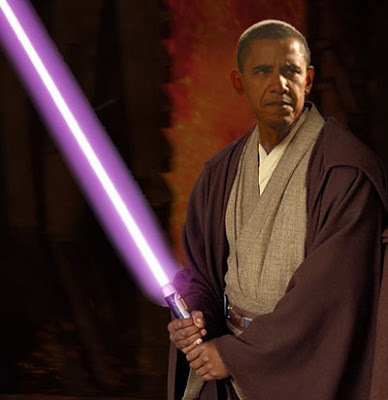 Unlike Bush (or Bill Clinton) Obama is not a longstanding creature of the poltical environment. He's fresh. He hasn't lost a sense of a vision for the greater social good. I think it is obvious that down the line Obama will dissapoint us in many ways. And I am ready to deal with that. At least I can not predict what the disappointment will be. I was raised during the 1960s. I remember where I was on the day John F. Kennedy died. I remember the TV news on the night Martin Luther King died. I remember watching the sense of loss and the rise of a sarcastic cynical tone in public debate: it won't get better from here. That tone lasted forty years. And I welcome the fresh air that I breathe today. I am amused by the sullen tone of the right wing media in America today. There is not much they can say: the majority of Americans are glad to see the back of the Bush administration. And finally, I should mention that I am overwhelmed that the USA has finally looked its legacy of racism in the face and rejected it by electing a president who is not lily white. 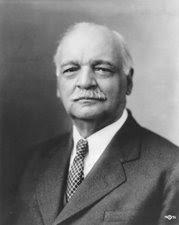 So far, the closest I know of anyone who is not white was vice president Charles Curtis, Senator of Kansas and a Kaw (Kansa) Indian, who served under - urk! - Calvin Coolidge. He was the first person with acknowledged non-European ancestry to reach either of the two highest offices in the United States government's executive branch (and the last until Barack Obama's election as president in 2008). President Obama's inauguration has galvanized Black Americans in a way not seen since the civil rights era. A Black president! A Fela Kuti album voted into reality! 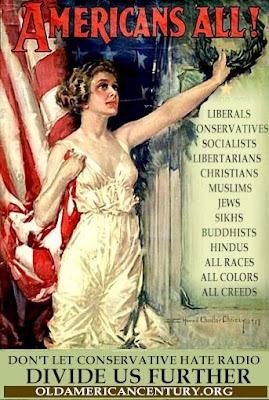 This is a time to reflect on the long road American history has taken over the last two hundred years. 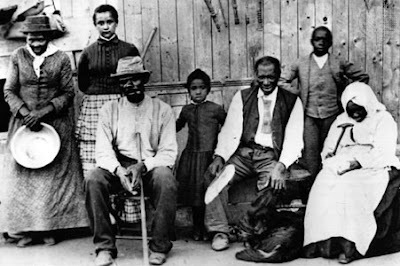 Give a thought this day to all the descendants of slaves who have become America's real middle class. Harriet Tubman sleeps well tonight. We here at this blog have been lazy lately, but we will be back with more on Moldova... strudels... and Hungary... after we celebrate our new President. Happy New Years, Season's greetings, 2008 is done and gone... time to look forward to 2009. I spent this holiday season in Budapest, which is rare for me... Last year I was in New York. Dim Sum for Christmas. Dim Sum for New Year's Eve. Amazing Burgers at Five Guys in Hackensack for New Years' Day. As usual, I didn't go out on New Year's eve, but spend it at home with my parents and Fumie. My folks were back in New Jersery this year and Fumie is in Tokyo for the winter... so this year it was Budapest: The Christmas markets were out in full strength, but no, I couldn't bring myself to eat at them, highly overpriced sausages and Transylvanian rolled kalacs, it just aint the same as Dim Sum in Chinatown. But as always, Hungary's strong point is treyf... pig meat. Pork-o-rama. If you like eating hog, and you can't be in North Carolina for Christmas, then Budapest is definately your second best bet. Of course, the global economic situation has people in Hungary worried about their budgets, and since Hungarians, due to their bizarre tax laws, do not save money up in bank accounts (it gets taxed and lost that way) they spend an incredible amount at Christmas on gifts (gigantic-wall-mount television screens were a big mover this year) and scrimp on the pork. But only a little. This year was the first time I noticed the abundance of pig noses that came out at Christmas markets. Now, for all I know, pig nose is a healthy alternative to say, chicken nose or cow nose. But it did seem a bit depression-era surprising "Back in them days we fed the kids on pig nose. Seems like Christmas without hog snout warn't Cristmas at all..." I have never seen a recipe for Christmas Pig Nose Soup, or a pig nose casserole. But at FT 600 a kilo (about three bucks for two punds), a lot of people were going to have a surprise out on the table on Dec. 26th... don't forget the kleenex! I did, however, forego the pork. Di Nayes played for the first ever Klezmer dance workshop at the Siraly for Chanukah, which brought out a lot more people than I expected for December 23rd. Sue Foy taught the dances while we played - without Feri, our cimbalom player, who is in a lot of plaster casts since having a moped accident in November. He should be back in action in a few weeks, though. Something to look forward to. Another thing to look forward to is January 20th (a mere four days after Battlestar Galactica returns for its final season!) when we can finally say goodbye to the worst governement the United States has ever had the misfortune to experience. I, for one, welcome our new Obamacrat Overlords! We promise to be better during the new years and keep up with our posting. We still have a lot of interesting stuff from our trip to Moldova, particularly from Kishinev... home of the world's best pickles... coming soon.